Now that a Russian hacker has been arrested in Spain at the request of American authorities, what are America’s options if he reveals Donald Trump’s political campaign members were involved in a hack of the 2016 Presidential election? If it is revealed that Trump was directly involved in the hacking of the 2016 Presidential election he will most certainly be impeached. That doesn’t mean he will be removed. While Trump doesn’t have a strong contingent of Republican support in Congress right now, and traditional Conservatives would most certainly prefer a more traditional Conservative in Mike Pence as President, Republicans still hold enough seats to avoid a two-thirds majority impeachment vote. It would take 166 Republicans (more than half the Republican delegation) to turn on Trump to remove him from the White House, but a lot could change in the 2018 midterm election. America will most certainly respond to a Russian cyber attack of the 2016 Presidential election by doing something similar to Vladimir Putin. While they could remove him in a traditional manner (airstrike, sniper, drone, etc. ), it’s more likely America avoids World War III and flexes its cyber muscle to reveal some things Russians might not find attractive about their leader to swing the needle against him for once. One of those things could be revealing Putin’s financial information, including homes and properties owned and net worth. 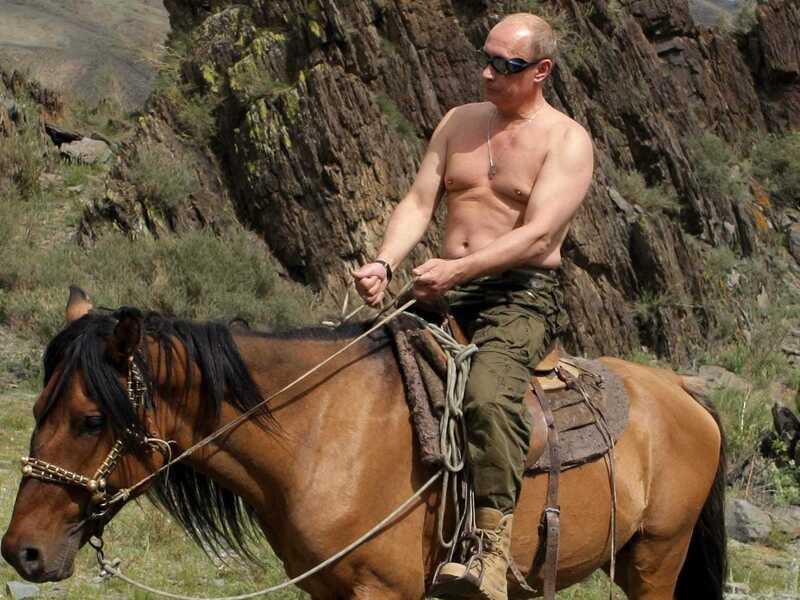 This won’t likely affect a Russian election because Russians revere their shirtless, horse-riding leader and let him score eight goals in hockey games. It might not even happen if Trump is still in office, because Putin is allegedly in a position to blackmail him. Holding an entirely new Presidential election is almost certainly out of the question given the Republicans current control of Congress and secretary of state positions. Currently, 29 of the state officials charged with election duties are Republican, but there will be 26 secretary of state elections in 2018. Every state would have to agree to a re-vote, making this option all but impossible. This is even more unlikely than a revote given that America and Russia have the two strongest military forces in the world. While America spent a whopping $516.5 billion more military dollars than Russia in 2015, Russia has about 200 more nuclear weapons than America, according to the Federation of American Scientists. If World War III were to break out, China, the third largest military in the world, would most certainly join Russia in the effort. Their combined military budget would be just over half that of America’s. So America’s options in response to a confirmed hack of the 2016 Presidential election are not only limited, but most are highly unlikely.